We received encouraging response in April this year and a lot of requests to have such events more frequently. So, we are bringing back Headstart HIgher in Hyderabad this December 2014! 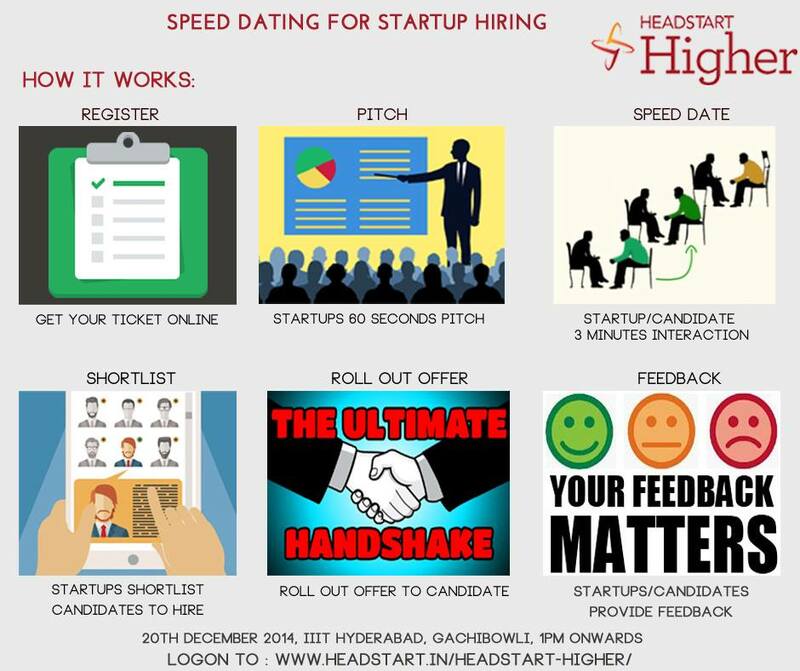 Headstart knows hiring is one of the biggest challenges ‘YOU’ are facing in your startup life. Likewise, as candidate, keen to explore opportunities with a Startup, is a challenge today! Headstart Higher, the right Solution for YOU! WHAT DOES HEADSTART HIgher DO? Venue: Indian Institute of Information Technology, Hyderabad (IIIT-H) Gachibowli, Hyderabad 500032. Note: Candidates would go through a pre assessment based on the details shared in this form. Atleast 1 year and above relevant experience in said domain & candidates who have built something significant would be given preference in the shorlisting. Applicants who do not clear this pre assessment would be refunded the participation fees.